I don't believe there is anyone in America, or a multitude of other countries for that matter, who hasn't considered becoming a truck driver. We've all wondered from time to time what life would be like traveling the highways day in and day out … living on the road, seeing the sites, meeting people from far and wide, and watching the sunrise and set from one coast to the other…what would it be like? I did exactly that for the better part of fifteen years and I can tell you one thing - I wouldn't trade my time on the road for anything in the world. I'll tell you my story later on, but for now let's talk about what it takes to become a truck driver. First you will choose a truck driving school. Truck driving schools normally last about one month. 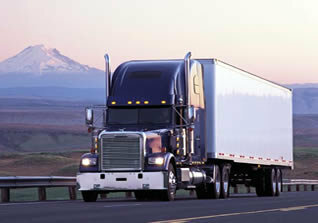 There are basically two types of truck driving schools, paid CDL training programs and private truck driving schools. At Trucking Truth we prefer paid CDL training over private CDL training for a long list of reasons. Check out that link to learn why. During the initial phase of schooling you will have to pass a DOT physical and go to the DMV to take a series of written exams for the CDL permit and CDL Endorsements. 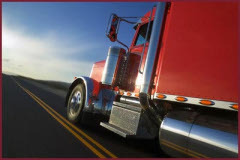 This will allow you to drive the trucks on the highway with an instructor who has their CDL. After spending a few weeks learning how to back up, drive, and do a pre-trip inspection you'll take your driving exam and your pre-trip inspection exam. Once you pass both of those tests you'll have your CDL license and you're now on your way to becoming a paid professional driver. If you did not attend a paid CDL training program you will now begin your job search. If you did attend a paid CDL training program you already have a job and you'll head out on the road with a trainer to run team for anywhere from a few weeks to a few months before going solo and being a full-fledged truck driver. How do I know if trucking is for me? For somebody considering a career in the trucking industry, this is the million dollar question. I mean, how many people have ever experienced being a truck driver? Pretty much nobody. So how are you supposed to know if it's for you? To say "try it and see" isn't realistic. You need schooling. I've heard "ride with a driver for a week and see if you like it." Oh, OK,let me reach into my pocket here and pull out that truck driver I have so I can cruise around with him for a while. 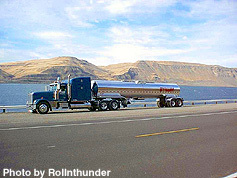 Seriously, most of us do not know any truckers that will take us cruising around the country. So how do you find out if it's for you? The best way is to talk to someone who has done it for a long time. Like me. Almost 15 years and about 1.5 million miles. I absolutely love driving truck. Love it. In looking back, I believe there are two main reasons I've loved it so much - because if fits my personality, and because it fits my lifestyle. I'm going to tell you one thing right away - if you want to be successful and make really good money driving truck, it is not an easy job. 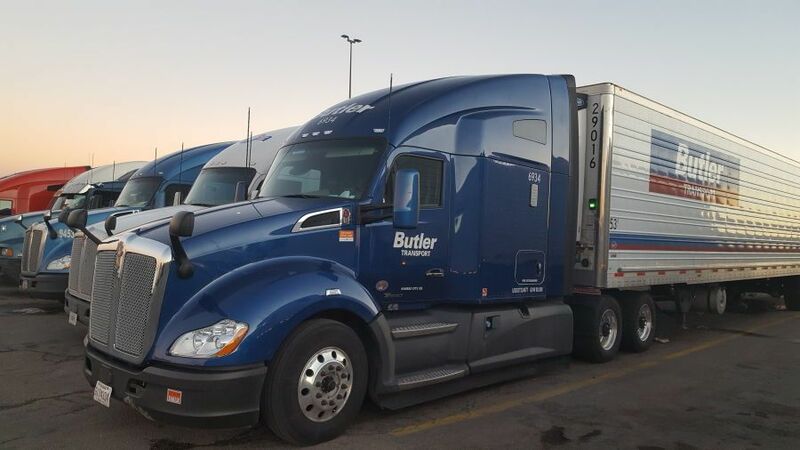 The hours are very long, it takes a lot of self-discipline, and you spend the vast majority of your time alone.I've written other articles about the truck driving lifestyle and never will you hear me say that I love truck driving because it is easy. Even if you are cut out for it, trucking is rarely easy, and I would dare say that it is not for most people. I have always been an independent, hard-working, adventurous guy. I don't like people looking over my shoulder, I don't like routines, and I love a challenge. I wanted to really see this country, and really know what it was all about. And I don't mean know it from television - I wanted to really know from experiencing it - meeting the people and seeing the places myself. And what a grand adventure truck driving is! It's not uncommon to be in five different states in a day! It's not uncommon to speak with hundreds of new people in one day.I've left Los Angeles in the middle of the afternoon when it was 72 degrees out only to find myself way up in the mountains of Utah late that night and the temperature was 15 degrees below zero! I've Seen most of the famous sites in our country and a million of em that nobody has ever heard of. I've experienced countless numbers of priceless moments like watching the sunset over the mountains of Wyoming as the elk graze on the high plain. Or the sun rising over the ocean on a humid, salty-aired morning heading south along the coast of Florida as the gulls circle overhead. Moments that were priceless to me because I knew how many people were never going to see so many of the things I've gotten to see, nor enjoy their lives day to day and moment to moment the way I've gotten to enjoy mine. But see, that's just me. When you're on the road, you're pretty much on your own. I mean,sure you can call someone with a tow-truck when you break down. And sure you can stroll into a truck stop for a meal and a conversation when you're wanting one. But when you're lying down to catch a few hours of sleep at night and you're alone somewhere in the middle of the Nevada desert, there isn't anyone to encourage you that tomorrow will be a better day. There isn't anyone to comfort you if you're feeling a bit down. And three hours later when it's time to get up and it's still as dark as it was when you went to sleep, there isn't really anyone around that cares. And I didn't mind that a bit. I've loved the adventure, I've loved not having a boss looking over my shoulder, and I've loved the tranquility of my home on the road.I've gotten to know this country from one end to the other, I've gotten to know myself inside and out, and I would say there are no greater blessings on Earth than to have accomplished those two things…..but ya see, that's just me. There are a ton of questions in the mind of anyone considering becoming a truck driver. Questions that won't be on any tests at any schools - and won't be discussed by the recruiters at any of the trucking companies. Questions that can only be answered by each individual for themselves. But the problem is that most people have no information to use for making their decision. There are tons of things that one must know about life on the road if he or she is going to make the right decision - things you may not even consider if you had never been out there. So how can you find out? Read through site and see all of the great materials we've gathered - tons of articles, blogs, jobs, schools, and trucking directories - all of them free, all the time. Use our search engine to quickly find materials on any subject you can imagine related to the trucking industry. And feel free to email me with any questions you might have. If you'd really like all the info you can get from someone who's been on the road for a long,long time - it would be well worth a few bucks to buy my book. There'sa money-back guarantee with it because I know how valuable the information in that book is - you won't want your money back, I'm certain of it. Will I Enjoy Life On The Road? If you've never been a truck driver and never really had the chance to talk extensively with someone who is, it's nearly impossible to guess as to whether or not you would enjoy the lifestyle of being on the road. What are the hours like? What about driving through bad weather?Is the food any good at truck stops? Am I going to meet a lot of interesting people? What will I do for entertainment? There are a ton of questions and the answers are often hard to come by if you don't know any truckers. Let's talk about a few aspects of life on the road.Lets start with the hours. What kind of hours will I be putting in?What about the DOT rules that limit a driver's time behind the wheel? Well, I'm not going to go deep into the DOT right now. That's for another day. But I will say that you will likely be getting paid by the mile. So the more you work, the more you make. So if you're looking to make as much as you can while you're out there, expect to be putting in very long days - a lot of em. The hours are erratic too. Sometimes you will deliver in the middle of the night, sometimes in the middle of the afternoon. Sometimes you will get loaded much later than you expected and you'll have to drive most of the night through to deliver on time.And of course when it's finally time to go home - you're not stopping unless you're so tired you cant remember who you are - but that's rare when heading home. The energy and excitement of knowing you're finally going home will keep you going day and night - believe me it will. So if you want to make good money and have your company be pleased with your performance, expect a lot of very long days and erratic hours.This is no nine to five job. But I liked that aspect of driving. I liked that everyday was different and unpredictable. That kept it interesting and challenging for me. As far a driving through bad weather goes you always have an out - your company will never say anything to you if you tell them it's not safe to drive right now and you're shutting it down. Safety is first for everyone in trucking. It must always be. As you become a better driver over the years you will find that you are shutting down for bad weather less often. After a number of years I found that I rarely ever stopped for bad weather. Computers make it easy to keep up with the weather and either drive around a storm or get your driving in before it arrives so that when it hits you're safely parked and ready to eat and hit the sack. So as a new driver, don't be concerned at all about what you'll be faced with on bad weather days - if you aren't comfortable driving,don't drive. Simple as that. You have your life, the lives of motorists around you, and your career to think about. Don't jeopardize any of it trying to push through bad weather - especially heavy snow and ice. You can't expect to shut it down in the rain, unless its a hurricane, but the snow will depend on your experience and comfort level. What about the food? Believe it or not, truck stop food is almost always excellent food. They know drivers love to eat and because of the CB radio word travels fast. A restaurant will get a reputation quickly and will do great if the food is great, terrible if it's terrible. So generally you will be very happy with the food. And unlike restaurants you'll usually eat at around home, the big chains have the best food. Sometimes you'll find a small family-owned truck stop with good food,but often the small places aren't as good.Finally, entertainment. Parking is the biggest problem when it comes to having fun. Going to the movies, the mall, sporting events, and bars is all in the realm of possibilities if you can figure out a safe, legal place to park the rig nearby. Taking a cab from a nearby truck stop is generally the best way to do it. Often times you can find places to park within walking distance if you get on the CB and ask the local drivers that know the area well. They can often clue you in. If you're staying out on the road over the weekend you will generally have a ton of free time to have some fun. So in general, life on the road is a lot of fun if you're the adventurous type. The hours are long, the weather is tricky, and you're away from home a lot but it's always interesting, challenging, and full of possibilities. 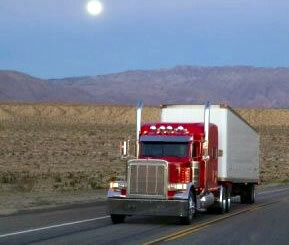 If you prefer the safe environment of steady hours and a simple job, you wont like trucking. If you're hearty, full of adventure, and looking for a life thats fun and challenging - trucking may be just perfect for you. Will Life On The Road Be Lonely? There's plenty of information out there that talks about the technical aspects of becoming a truck driver. Things like "How to get your CDL", the requirements for getting your CDL, and list after list of trucking companies looking for drivers. But what about all of the other aspects of being on the road? What is life really like? Are the meals good in the truckstops? Is there anyone to talk to in the evenings? Is there help when you need it with routing and mechanical issues? Will I be homesick all the time? There aren't too many places to find answers to these, but after almost 15 years on the road I have a lot of them. Now I can't tell you if it's right for you or not, but I can give you an idea of what it's like. For starters, the first thing that comes to mind is the amount of time you spend alone. It's a ton. I can honestly say you will be alone, mostly in your truck, for an average of about 18 hours per day. The other six you will spend talking to waitresses, dock workers, and other drivers. But the vast majority of the time you'll be alone. I came to the realization in the early months of my career that I could either learn to enjoy being alone and make the best of it, or I could suffer through it, but I really couldn't do much to change it. Back then, you didn't have computers and the Internet to keep you connected and entertain you. The information, emails, pictures, fun websites, news sites, and all the goodies that come with being online just didn't exist. After years of being on the road, the Internet and computers started to take hold. Slowly the truck stops began coming out with connections for cable TV and internet in your truck, and that really changed everything. Nowadays, most truck stops and many of the places you'll find yourself will have some sort of wireless Internet connection. Laptops have gotten far less expensive, and you can add to that the ease of putting satellite television in your cab, and of course cell phones.The ability to stay connected to the news, entertainment, and your loved ones is a thousand times better than it was ten years ago. A thousand times. But the one thing you cant replace is the amount of time you'll spend away from your family and friends. A lot of companies can get you home on the weekends. Some will keep you out for two to three weeks ata time. The choice is yours. Generally speaking, the longer you stay out at a time, the more money you'll make. There are jobs that will get you home every evening in fact, but you'll put in fifteen hour days and be lucky to bring home $150 per day. You can stay out one to three weeks at a time and make $50,000/year pretty easily, but there's a lotto consider when it comes to being gone that long. I'm going to tell you something flat out - if you have a family,especially if you have children, please do not consider a job that keeps you away from home for more than five days at a time. I've heard countless stories, and I mean countless stories, of families that fell apart from the time spent away from each other. It's too hard on the spouses, and devastating for the children. Even being gone five days a week is hard on everyone, but there is a huge difference in the money you'll make being gone five days at a time compared to being home every night, and life is always a compromise. Sometimes you won't have a choice. I was young and single for most of the years I spent on the road,and I wasn't a bit lonely. There were truck stops, the CB, books, and places you could go in your free time like malls, nightclubs, and sporting events to keep you entertained. It really was a ton of fun!But to have a wife and children to leave behind would have been almost too much to bear. In fact, probably more than almost too much. I just don't think I could have done it. Every decision we make in life is a compromise, and every compromise has its side effects. We all need the money to get by, but there's so much more to it than that. Be prepared to spend an enormous amount of time out there alone. If you have a family, especially children, please set a limit of five days gone at a time, and try to get by with even less. Time spent away from your family and friends has been made a million times nicer with the technologies that have come along, but holding your wife and children in your arms can never, ever be replaced, and neither can the time you lose without them by your side. I also have a book called Becoming A Truck Driver, that covers a million topics that will help you decide if trucking is right for you. I was blessed with the ability to do any number of other things. Becoming a truck driver was never any goal or consideration of mine, and I never knew anyone who had done it. I simply came across it by chance once upon a time on a hot summer day in Atlanta and everything changed in my life from that day on. Working for $5.50/hr in a warehouse as a 21 year old man-child. I arrived at work one day to find a Ryder truck parked in the lot. I was told we had to haul some pallets of literature downtown and exchange them for yet another group of pallets to bring back. It was the largest straight truck that Ryder offered….and I had never even seen the inside of one. But I was determined to be the one to make the trip in it. So how was I going to convince them to let me do it? The only way I could- I was gonna lie my brains out. I told the boss my aunt had moved twice and my grandma had moved once and all three times I drove the truck…same size truck as the one out in the lot. Amazingly enough they gave me the OK to take it downtown. What were they thinking???? So away I went. The trip went perfectly and I did what I was supposed to do. I went downtown, they unloaded me, reloaded the truck (after their lunch break of course), and I returned safe and sound. Upon arrival I immediately went to my best friend and joyously exclaimed that not only was that a lot of fun, but I didn't even have to do any work that day…. "all I did was drive" - and the light bulb came on. I went home and looked up the only trucking company I knew of and found out that I would start at $40,000/year. I was making $15,000 at the time…including overtime! Becoming a truck driver was exactly what I was going to do….and a month later I was in trucking school. I graduated, got hired with a great company on graduation day, and had an awesome career. I made excellent money, met thousands of people,saw many of the most famous sites in America, and many others that were just as beautiful but mostly unknown. It's not an easy life - but if you're the right type of person for it there is no other job like it in the world. You'll learn so much about yourself, your country, and the people you share it with. You'll experience the differences in culture from city to city and region to region. You'll make very good money,have a ton of fun, and have a career that keeps our economy moving and makes you feel like you've accomplished something worthwhile….and you have. The moral of the story? Lie. Lie like crazy! No, I'm just kidding. The real moral of the story is that sometimes you have to take chances in life. If you ever want to get anywhere worth going it will take risk, courage, and faith in yourself to get there.